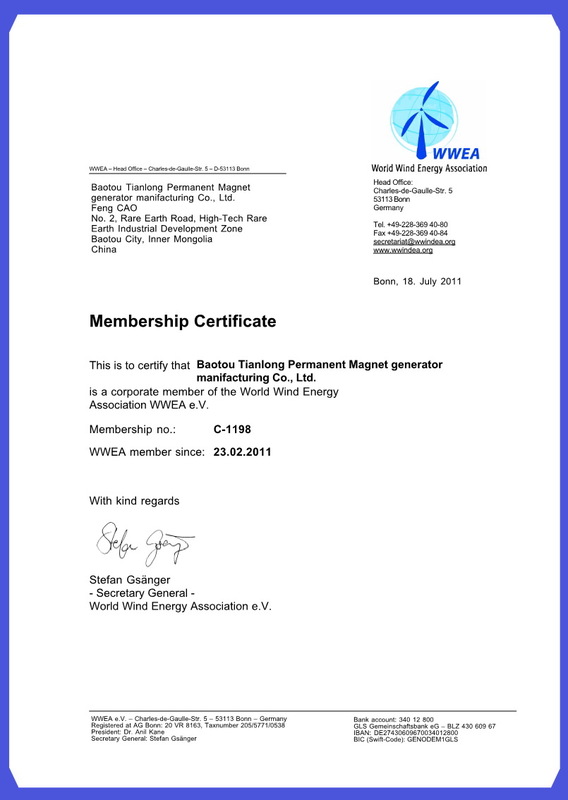 Certification - Baotou Tianlong Permanent Magnet Generator Manufacturing Co., Ltd.
Baotou Tianlong Permanent Magnet Generator Manufacturing Co., Ltd., a professional corporation ,located in Baotou which is acclaimed as ‘the home of rare earth and the city of steel on the grassland’,engages in manufacturing rare earth permanent magnet generator, wind energy generating electricity equipment, solar energy generating electricity equipment and PV/wind hybrid generating electricity system, It is the director corporation of Chinese Wind Energy Equipment Association (CWEEA) and the member of World Wind Energy Association(WEEA). 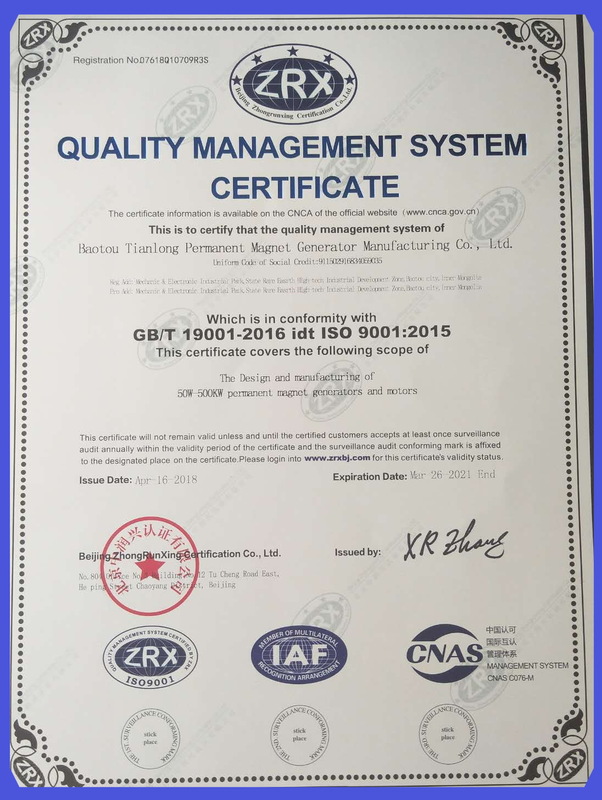 Baotou Tianlong,set up in 1996, successfully produced the first Chinese low speed 5KW direct-drive rare earth permanent magnet generator. So far a series of generators, more than 300 kinds, rotation speed from 50 rpm to 750 rpm with rated power from 30w to 500kW in types, including horizontal shaft type, vertical shaft type and outer rotor type, are developed.All the generators have been manufactured according to international standard with characteristics of small size, light weight, high efficiency, low start moment and stable performance. Our products are very popular among our consumers. 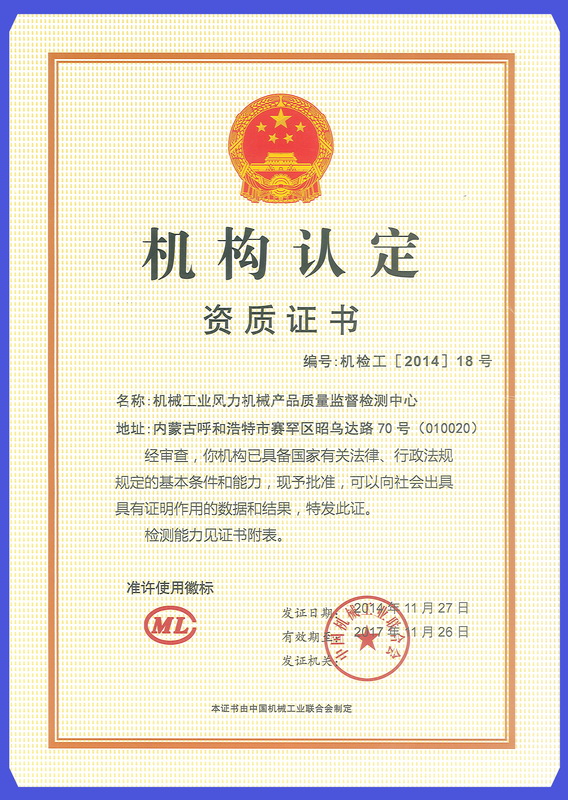 With the popularity of the consumers,the products have been sold to twenty-nine domestic provinces, autonomous regions cities and special administrative region including HongKong, Macao&Taiwan, and exported to more than forty countries in Europe, America, and southeast Asia circumference.